Caroline is a French actress who trained at The Paris National Conservatory of Dramatic Art and then took on further training at LAMDA. 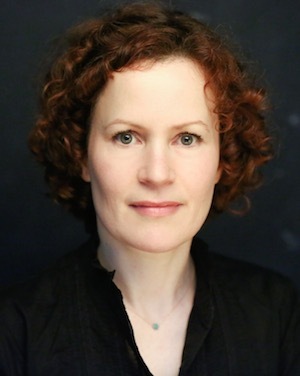 Caroline has worked extensively in theatre all over France, working for Comédie Français, Théåtre de L'Odéon, Théâtre du Soleil, Sartrouville National Theatre, Nanterre National Theatre, Montluçon National Theatre, Taf Theatre and Théâtre de L'Athéné. For TV, Caroline has most recently appeared as a semi-regular character, Louise Ferron, in the French series, Ainsi Soient-Ils for Arte Channel. Other recent TV credits include Clem (TF1), Nadia (France 2), Section de Recherches (TF1) and Mystère à la tour Eiffel. Her most recent film credits include Les Yeux Jaunes Des Crocodiles (Les Films Manuel Munz), 3 Coeurs (Rectangle Productions), Paradise (Drife Filmproduktion), which won a Silver Lion for Best Director (Andrei Konchalovsky) at the Venice Film Festival 2016 and was nominated for Best Feature at Chicago International Film Festival, and 120 Battements Par Minute (Les films de Pierre) which won the Grand Prix at the 2017 Cannes Film Festival.